The Oakland Motor Car Company was founded 1907 by Alanson Brush (founder of Brush and inventor of the planetary transmission and the Cadillac one-cylinder car) and Edward Murphy (owner of the Pontiac Buggy Company). Oakland was based in Pontiac, Michigan – foreshadowing of its future. In 1909, after only a single model year’s worth of cars, Murphy sold half the company to General Motors. In the 1920s General Motors introduced its Companion Make program to fill price gaps between its existing brands. In 1926, Oakland got its partner brand: Pontiac. In 1931, GM announced that it would be discontinuing Oakland – and continuing with Pontiac, giving Oakland the dubious distinction to be the only GM brand to be swallowed and outlived by its companion make. This early GM-era Oakland is powered by a 30 horsepower 3.3-liter straight-four engine. The Model 30 was Oakland’s entry-level model for 1912 and the five-passenger Touring was one of two body styles offered. 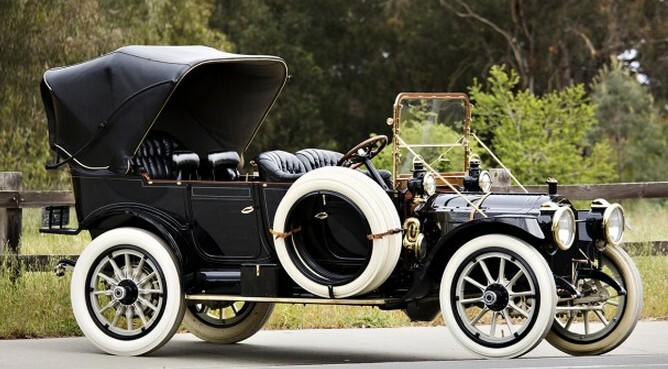 It carried an as-new price of $1,250 and 104 years later, well restored, it should sell for between $40,000-$50,000. Click here for more info and here for more from this sale. 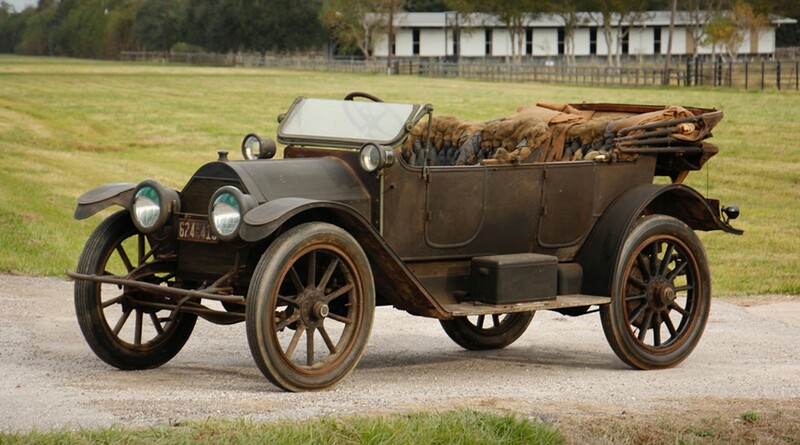 The Model 30 Packard was new for 1907 and lasted through 1912. It was their stalwart and most popular model. 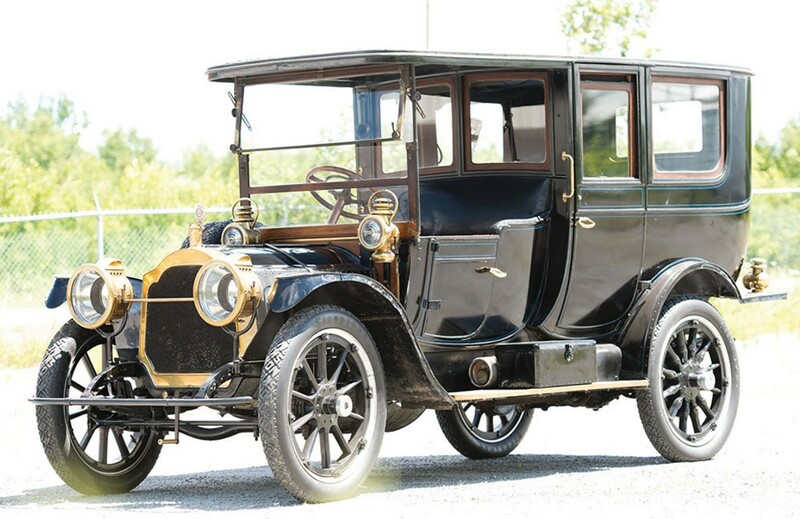 This particular car is listed as a “UEFR” – which likely means it was a 1912 model – but production of the UE series Model 30s actually began in the summer of 1911. Make of that what you will. It is powered by a 7.1-liter straight-four putting out about 60 horsepower. 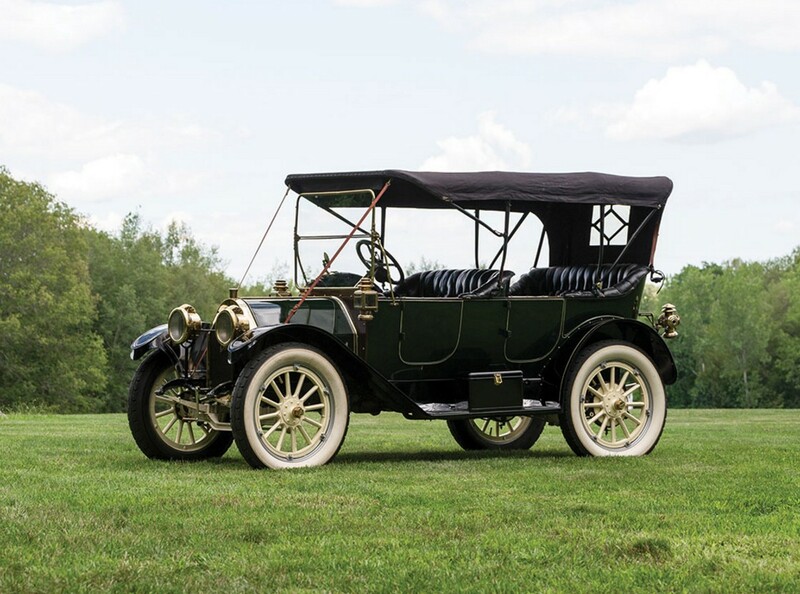 Eight body styles were offered for 1911 and this open-drive Limousine was among the most expensive, costing its owner approximately $5,450 when new. This car was sold new to a lady in New Orleans where it remained until 1947. In 1947 the car was in the possession of the chauffeur of the original owner and he traded the machine to a 19-year-old college student for a bottle of whiskey. Yeah. Good luck making that deal today. That 19-year-old, exhibiting a case of “what you don’t know can’t hurt you” drove the car back to Houston from the French Quarter. It’s been in Texas since and has never been restored but has been used gently over the years. It’s an amazing survivor. Only 1,250 “UE” Model 30s were built and the Limousine is rare. Click here for more info and here for more from this sale. Update: Sold, RM Sotheby’s Hershey 2018, $71,500. Marion was a marque produced by a few different companies in the early days of the automobile. The company that produced this car in 1911 was the most prolific. Based in Indianapolis, Marion was one of the first companies to build a sports car: the Bobcat. But their bread and butter were more standard cars in an array of body styles. The 1911 range included the Model 30 and 40. The 30 (seen here) uses a 30 horsepower, 3.7-liter straight-four. It was offered in four styles, with this Model A Roadster being the least expensive and smallest. This car spent most of its life in the American Northeast before being exported to the U.K. in 1991. It was restored in the mid-1990s and has been used steadily since. It should sell for between $30,000-$46,000. Click here for more info and here for the rest of Brightwells’ lineup. 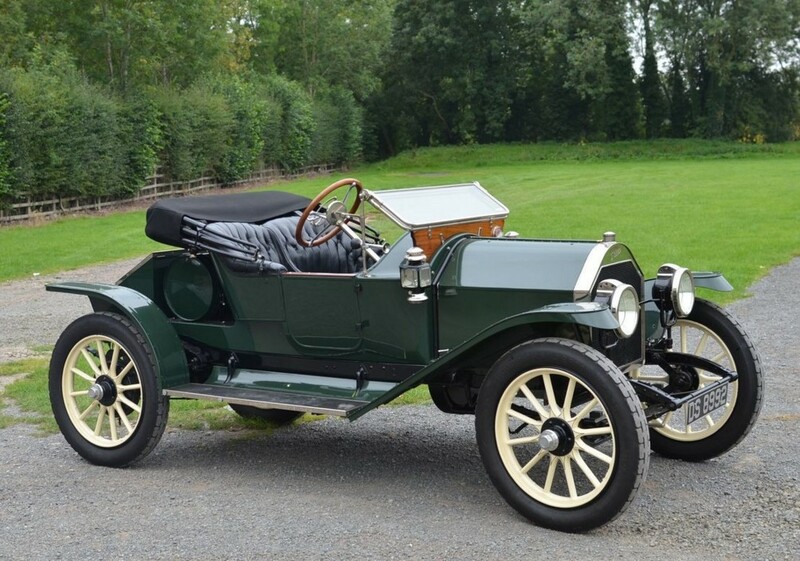 What I like most about this car is that I can imagine it being 1912 (well, as best I can) and being the rich guy who is being chauffeured around in this giant thing. The looks such a giant touring car must’ve gotten back in the day must have been awesome. The Model 30 was an expensive ride in 1912, costing around $4,200 in Seven-Passenger Touring form. It was the cheapest body style you could get on this, Packard’s big four for 1912. The engine is a 7.1-liter straight-four making 30 horsepower. This car has a nice Victoria top to shade wealthy passengers while the chauffeur bakes up front. White tires on white rims accented by body color paint really make this thing pop visually. We love white tires. 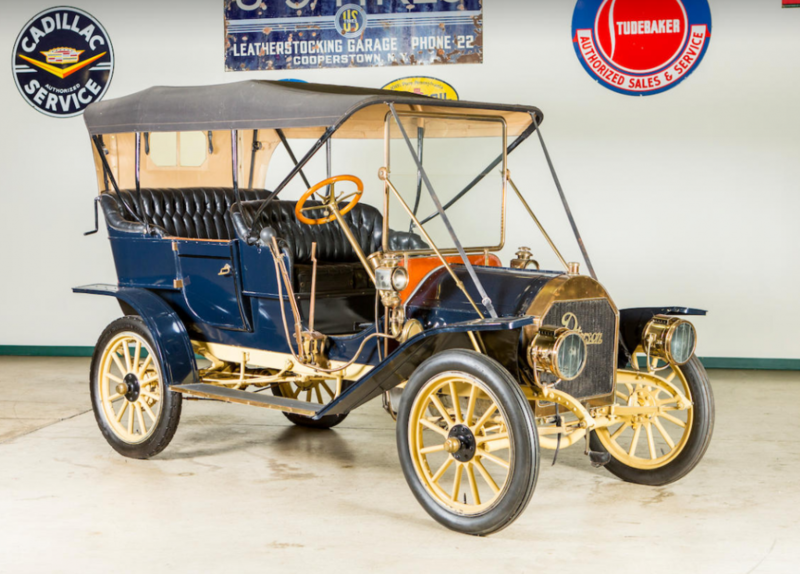 Of the 1,250 Model 30s built in 1912 (which was the final year for the model introduced in 1907), it is thought that there are only about 10 left, with this being, perhaps, the best. Actually it is the best as the interior is remarkably original. It was formerly in the Harrah Collection and should bring between $325,000-$375,000. Click here for more info and here for the rest of Gooding’s auction lineup. This is a race car that was built the same year the first Indianapolis 500 was held. It didn’t race there, but it looks just like the cars that did. These were stripped down versions of road cars with two seats and light body work. EMF was the abbreviation of Everitt-Metzger-Flanders – three men who had been around the booming auto industry for years. They built cars together for a few years between 1908 and 1912. Studebaker acquired them and shut them down because their quality wasn’t exactly great. This car was entered in the 1911 Tiedeman Trophy Race in Savannah, Georgia. It was a big event – bigger than that new event held way back in Indiana. EMF entered three cars in the race and they finished 1-2-3. This car was driven by Jack Tower, who would race at Indy twice (in 1911 and 1913). It is powered by a straight-four that makes 30 horsepower. It was discovered by the current owned in the 1970s and was restored then and restored again in the 2000s. It is the only surviving EMF racing car and it is thought to be the only surviving car that competed in the Tiedeman Trophy Race. Pre-WWI race cars are extremely rare but they are incredible machines. This car has never been offered for public sale before. Now’s your chance if you have between $150,000-$200,000. to spend. Click here for more info and here for the rest of Bonhams’ lineup.